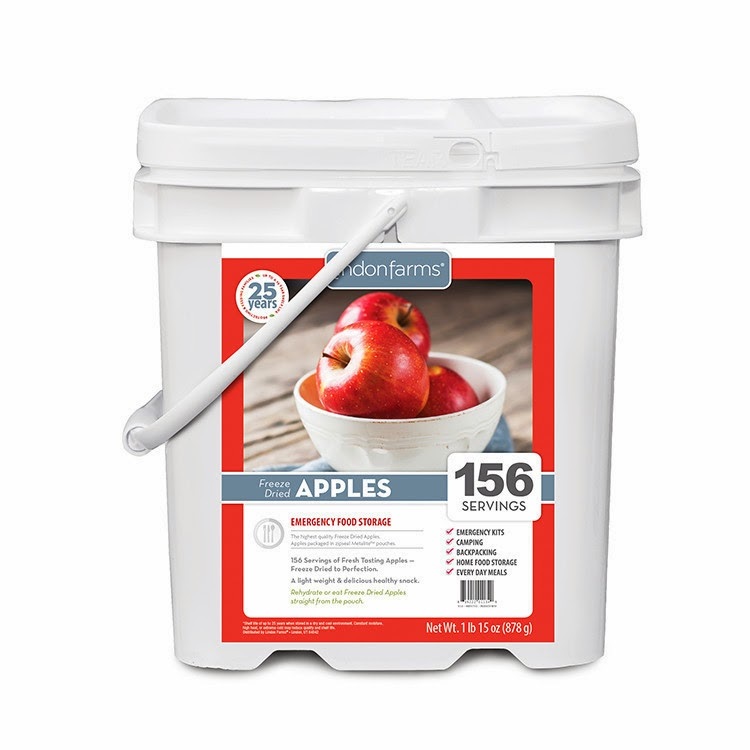 The ARK is a 30-day emergency food package in a pail, 2100 calories a day, 20-year shelf life. Top-quality, great tasting food at a price that is simply outstanding. Ends Friday: Historic Lindon Farms Discounts of up to 43%! All the dealer pricing restraints have been removed by the manufacturer of Lindon Farms foods! It's never happened before and we don't expect it to happen again. Discounts of up to 43% are in place, but only thru Friday, January 24 ... and of course FREE shipping to the lower 48 states. ALSO--an automatic FREE lifetime Safecastle buyers club membership with any Lindon Farms purchase (if you are not yet a member) -- a $49 value! Lindon Farms foods are highly regarded in the marketplace and fast growing in popularity ... veggies, fruits, meats, entrees--it's all delicious, with a shelf life of 25 years, without carrying the high-end list prices of some other brands. Discount sale prices are rare, and they have never been this low, across the board! If you need to shore up your household preparedness, you will want to take advantage of this truly unprecedented money-saving opportunity. Once in a Lifetime ... Unprecedented Storage Food Opportunity! Just a quick heads-up ... Starting this Sunday ... running from January 12-24, all the dealer pricing restraints are being removed by the manufacturer of Lindon Farms foods! Discounts of up to 40% and more! Free shipping to the lower 48 states. Automatic FREE lifetime Safecastle buyers club membership with any Lindon Farms purchase (if you are not yet a member) -- a $49 value! Lindon Farms foods are highly regarded in the marketplace ... veggies, fruits, meats, entrees--it's all delicious, with a shelf life of 25 years, without carrying the high-end prices of some other brands. Discount sale prices are rare, and they have never been this low, across the board! If you recognize the need to shore up your personal outlook, and want to make sure your family is well situated for whatever is coming, then this is a truly unprecedented opportunity. Our Lindon Farms prices will be discounted starting January 12. This sale is going to deplete manufacturer inventories at some point--maybe very quickly. So if you want your food delivered as promptly as possible--get your order in early. If you get your order in near the end of the sale, you will get your food, but it might be longer in coming to you if the backorder situation at the factory I expect with this sale does come to fruition.